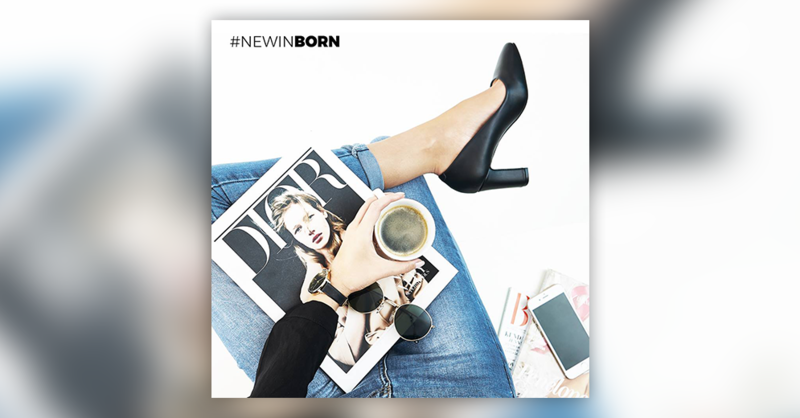 Born2Be is a part of the Azagroup, an international company that owns several online shops. They sell the latest fashion in women’s and men’s fashion for all seasons. Born2Be already had experience with Facebook advertising and dedicated a large amount of their ad spend to advertising but were unable to pinpoint the ROI on their efforts. They also used manual link tagging to tag each of their ads so that they could track their performance. However, this was time-consuming. Instead of quickly analysing performance, more time was given to manual tagging. Despite this, they saw that Facebook could be a very good source of sales but wanted to be certain that they could track which of their campaigns brought best results. 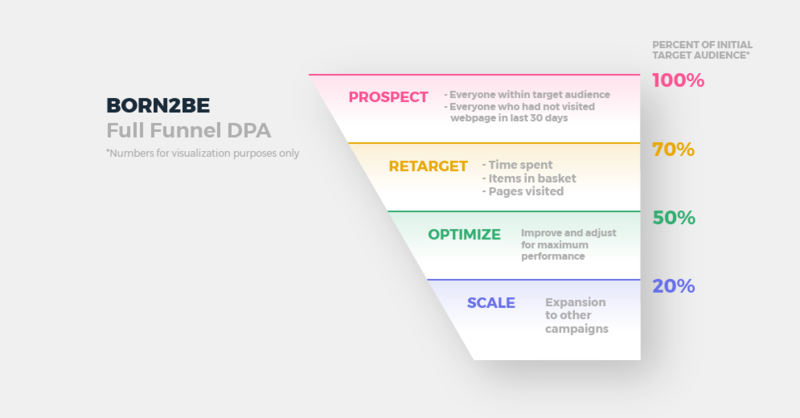 After consulting with our client partner, we found that we needed to implement a full funnel dynamic product ads campaign. This would include a prospecting campaign that focused on everyone that was relevant to their target audience first. We also directed our ads to users who had not visited the Born 2 Be page in the last 30 days. The purpose of this was to provide Born2Be with a large enough pool of people in their target audience from which we could then remarket. We then started to remarket our ads. As we remarketed, we found that we had to tweak the different ads and ad sets to find which performed better and at a reasonable cost. Based on those results, we scaled the strategy to other campaigns as was relevant. As a result of our approach, we could see a 9.5X increase in ROI. The secret to gaining these results was our ability to utilize the full-funnel approach to make sure that the people we were reaching out to had an interest in Born2Be’s products. The next part was our ability to test continuously so that we could quickly identify what worked and capitalize on it and get rid of tactics that simply would not work. This approach is what helps to make our clients‘ campaigns has successful as possible. We spend time in the beginning to build a strategy by understanding their pain points. "ROI Hunter is a great tool for everyday use. It allows us to save a lot of time thanks to the quick preview of the data. What's more, the interface is transparent and intuitive as well as responsive - it significantly simplifies the work."